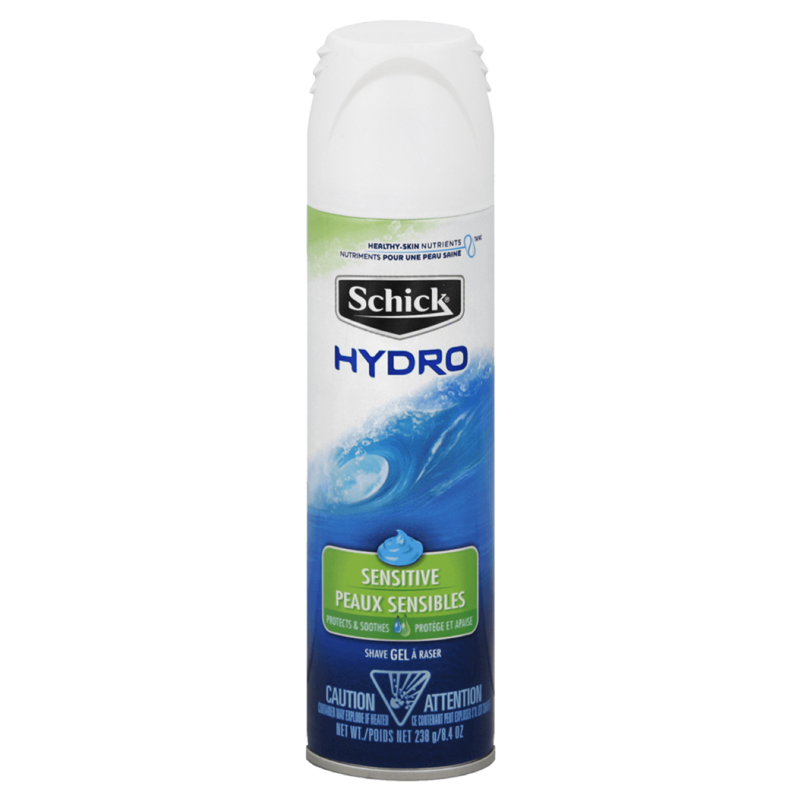 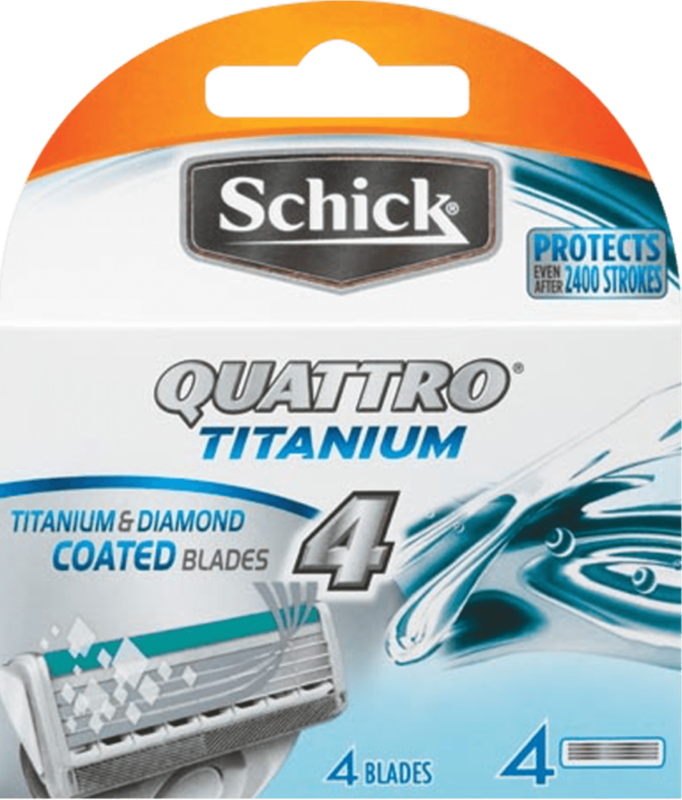 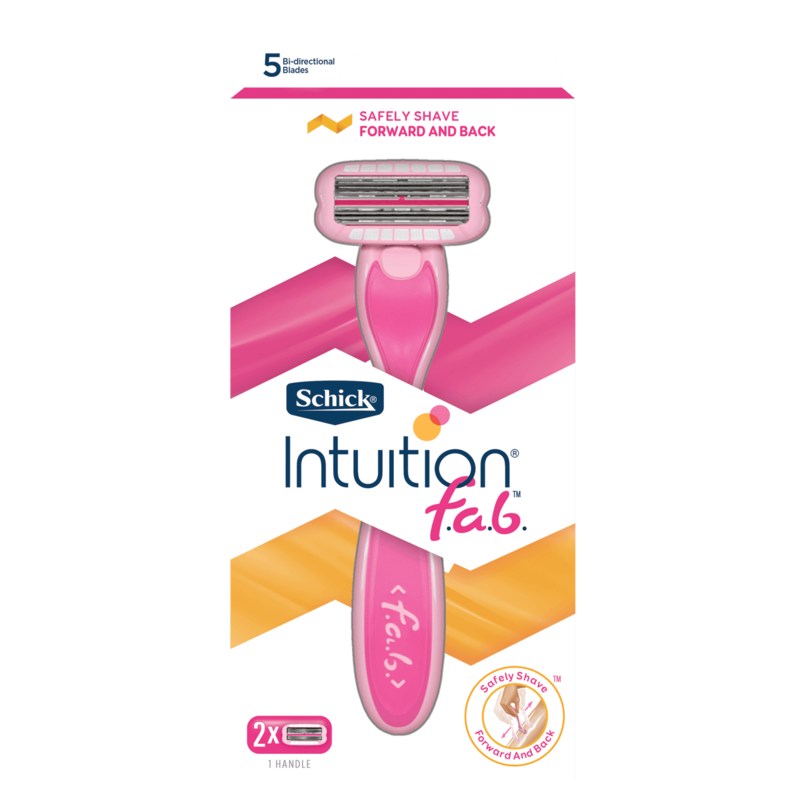 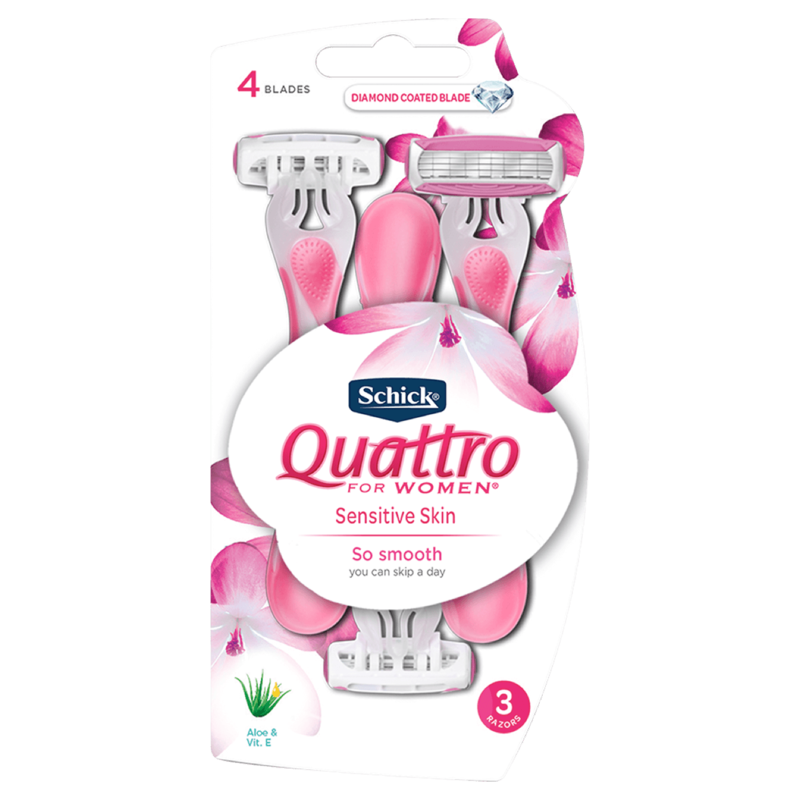 Schick® Quattro® Titanium 4 is a durable razor featuring 4 Titanium and Diamond coated blades that stay sharp to reduce irritation. 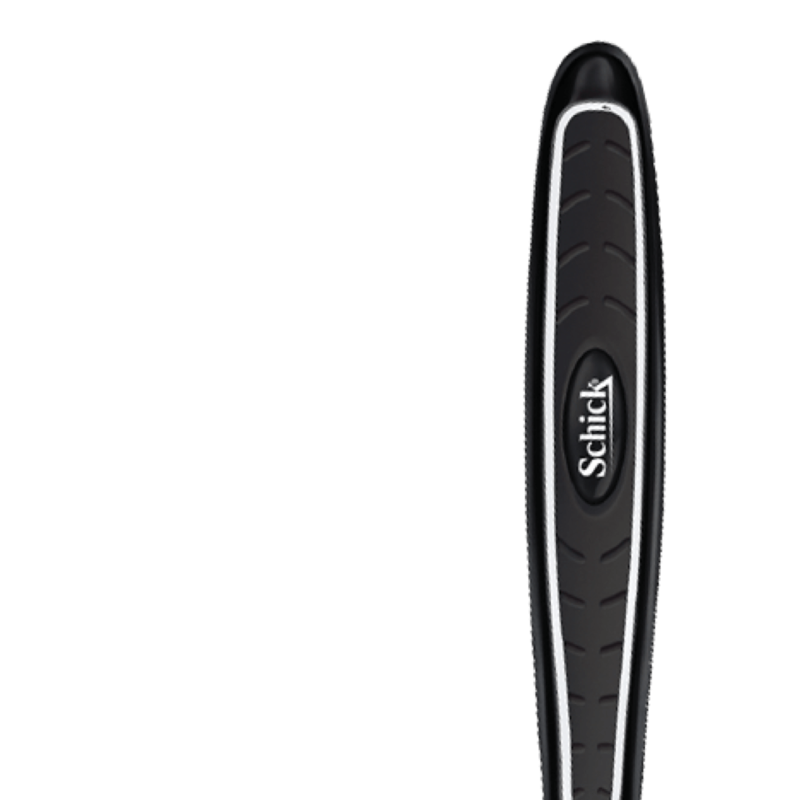 An additional edging blade provides extra precision in hard-to-reach spaces, and an ergonomically designed handle gives added control. 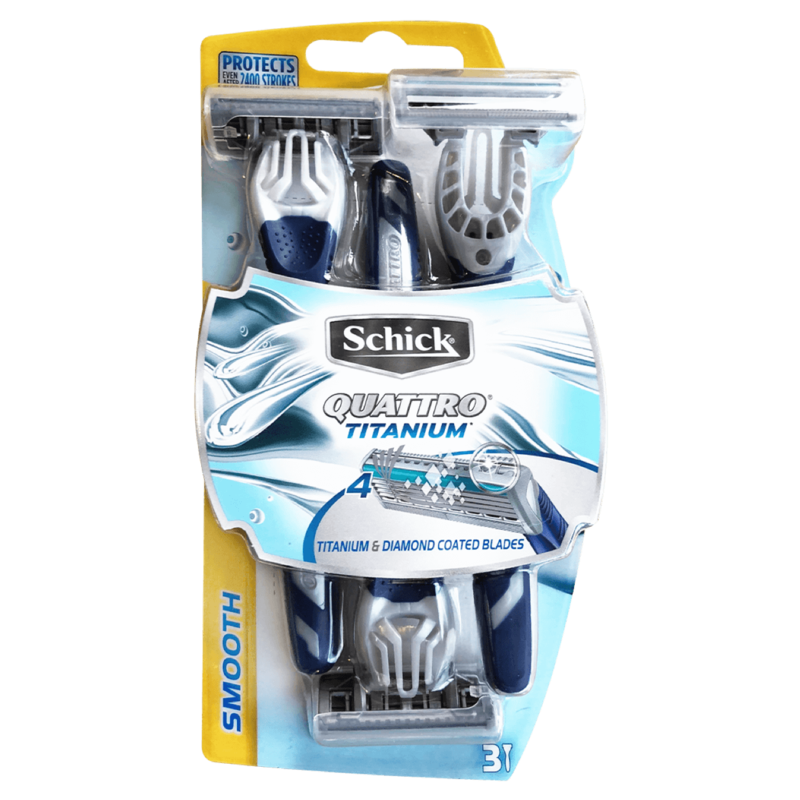 Plus, the great price makes it easy on your wallet. 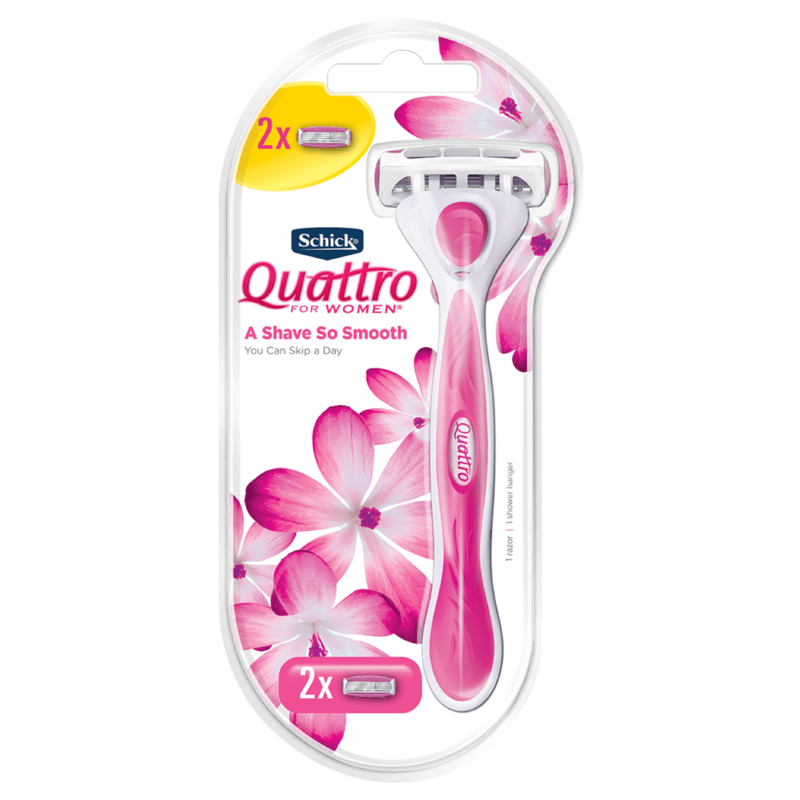 Pair with our Quattro 4 refill blades. 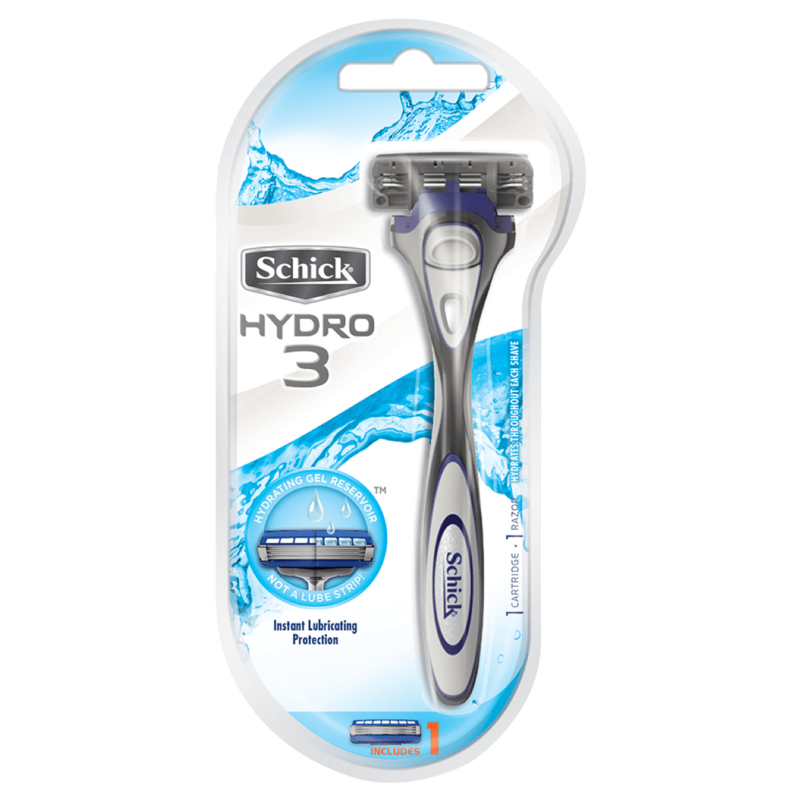 Featuring an ergonomically designed handle that gives you added control when shaving those hard to reach areas. 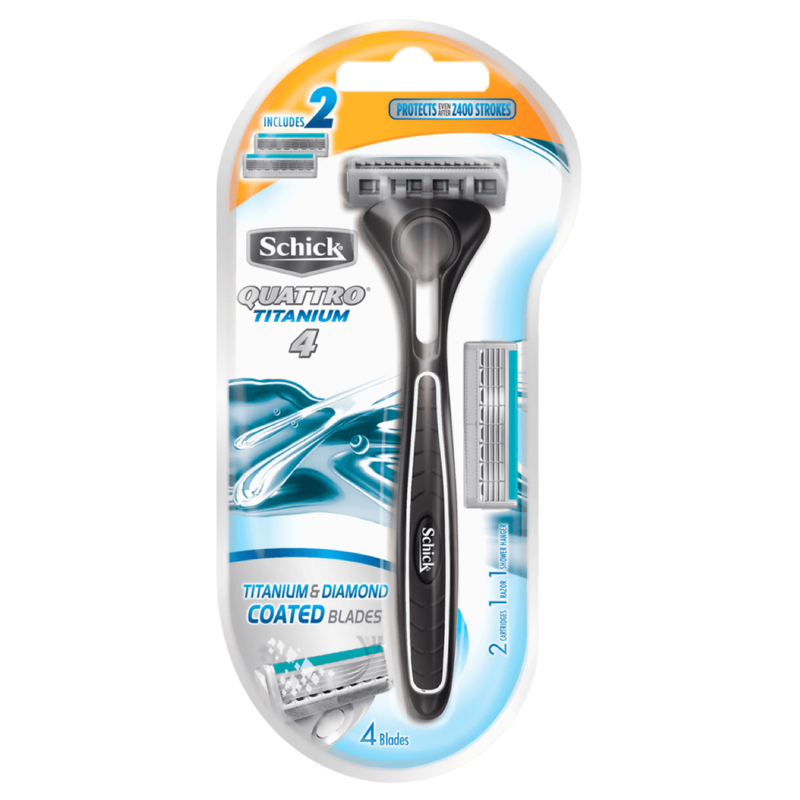 Two conditioning strips formulated with Aloe, Vitamin E & B5 help provide a smooth shave and minimise irritation. 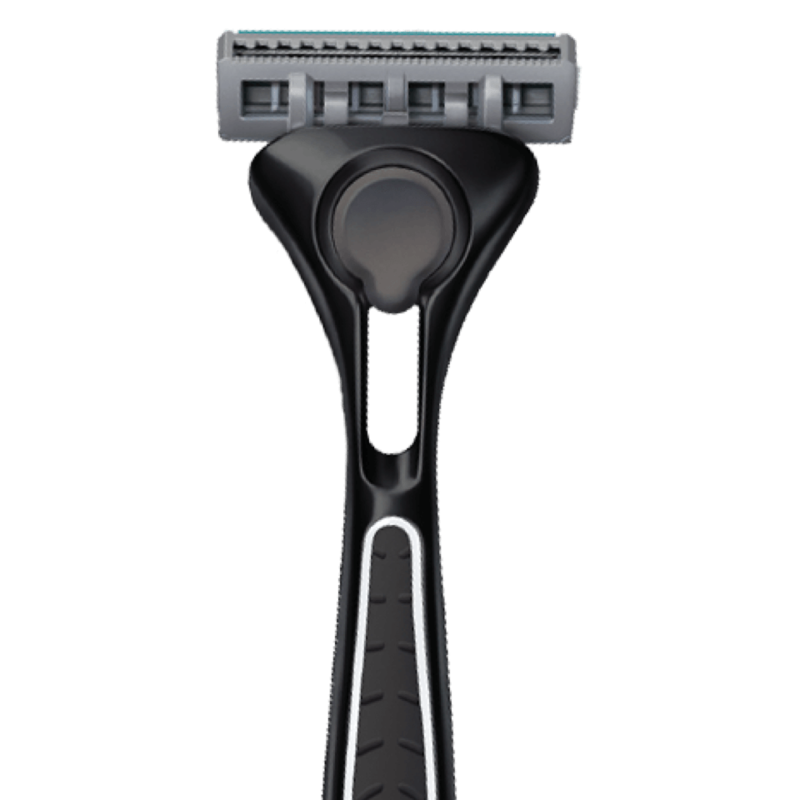 Quattro 4 blades stay sharp longer to provide a close shave, reduce irritation and protect your skin. 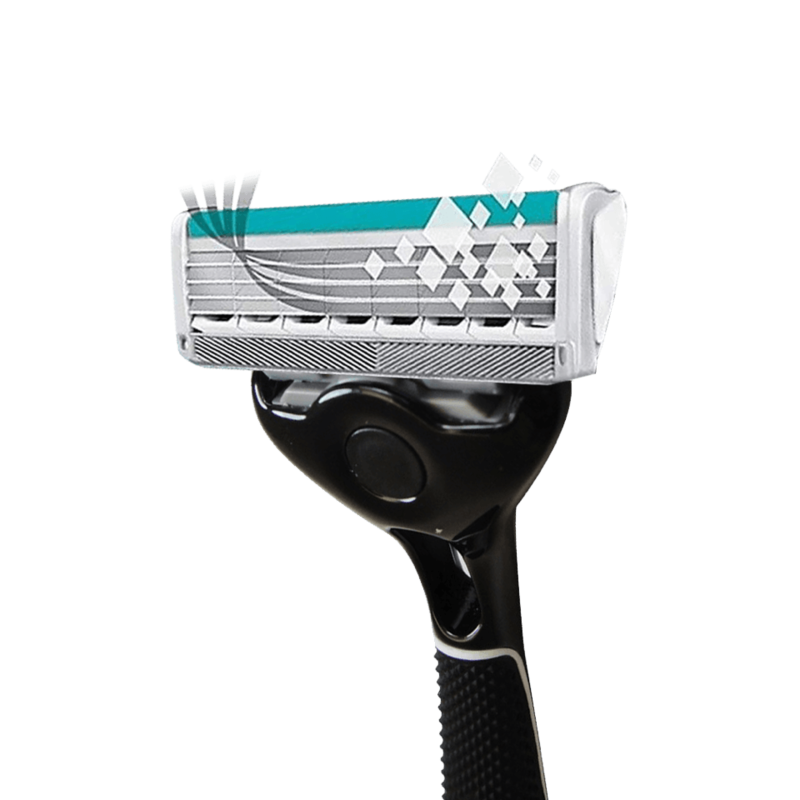 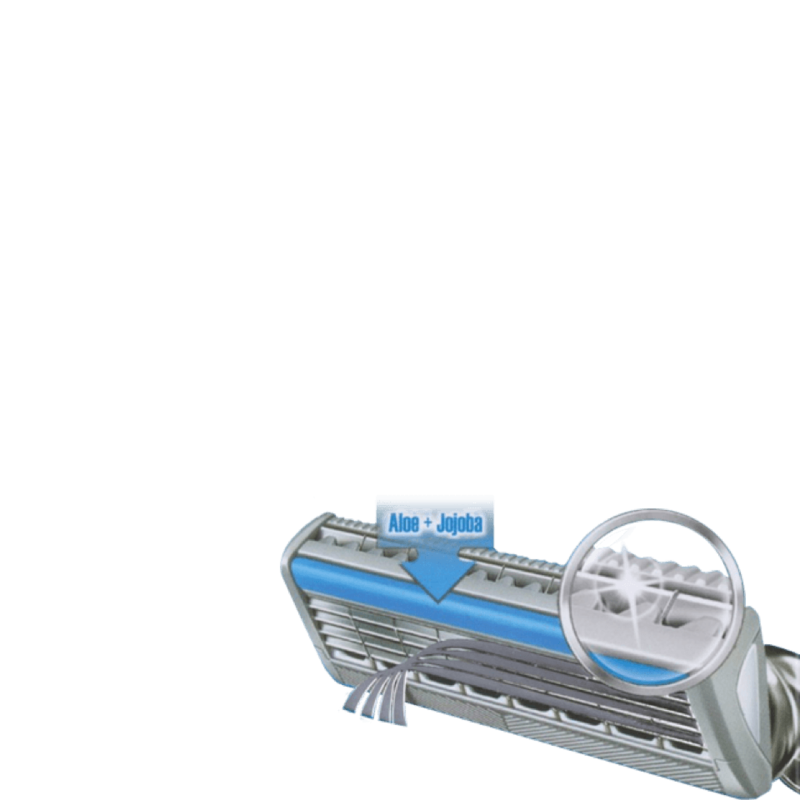 Pivoting head and edging blade offer great flexibility and can glide into hard-to-reach areas to give you a close shave.